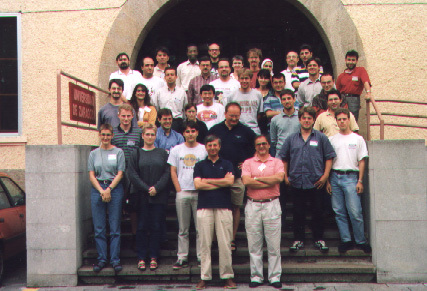 Participants in the main entrance of the Universitary Residence of Jaca (Spain). Performance Models for Discrete Event Systems with Synchronizations: Formalisms and Analysis Techniques. 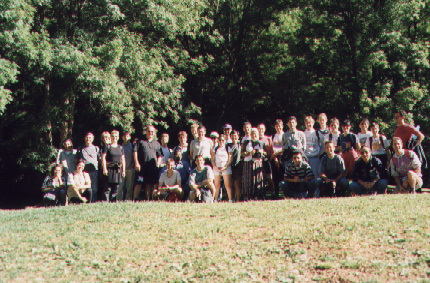 September 3-11, 1998. Jaca, Spain. The excursion to the Monastery of San Juan de la Pe–a, Jaca (Spain). 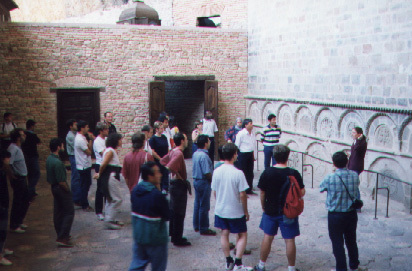 Participants inside the Monastery of San Juan de la Pe–a, Jaca (Spain).